The Draft Bucks County Bicycle Plan is scheduled to be presented to the County Commissioners at their January meeting. The Bucks County Planning Commission adopted the plan on Dec. 6 and recommended that the County Commissioners adopt it. 55 E. Court St, Doylestown, PA.
We urge supporters who can attend the meeting to do so. 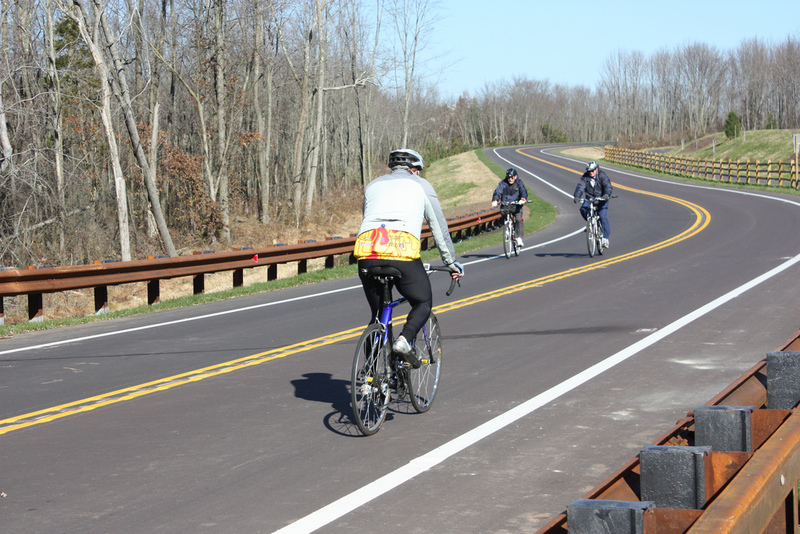 We believe that the 202 Parkway Trail is raising the visibility of bike mobility in the county. Another high visibility project set to begin construction this spring, the construction of the D&L Trail Tunnel under Route 13 in Tullytown, will be the first major East Coast Greenway project in the county. The timing for the Bucks County Bike Plan could not be better and having supporters speak positively about the improvements happening in the county would be a great way to boost support for the plan.